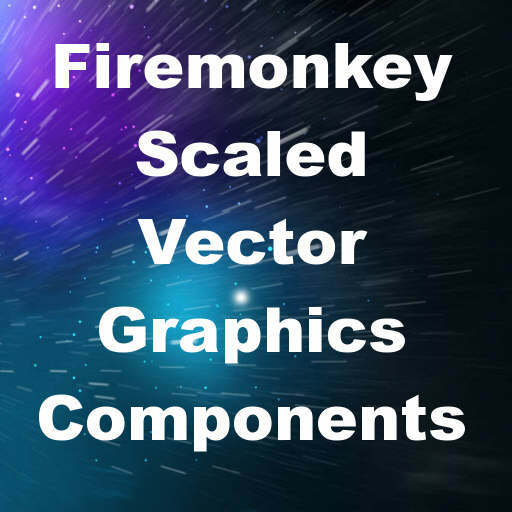 Developer Bruno V. has released a set of SVG Controls for Firemonkey under Delphi 10 Seattle. SVG stands for Scaled Vector Graphics and is a vector graphics (verses pixel based bitmaps) image format. Vector graphics allows you to deploy one image file which scales to whatever device it is running on. There is no mention of Android and IOS in any of the specs but it does support Windows and OSX so there is a good bet the components will also compile for Android and IOS. There are five components included in the SVG Controls set and they are TSVG2DOc, TSVG2Control, TSVG2Image, TSVG2ImageList and TSVG2LinkedImage. This looks like a pretty decent set of controls and they are really fairly priced plus they come with full source. There are three demo applications available including an SVG Browser, and SVG Viewer, and an SVG to raster demo. There is also an overview of what SVG functionality is implemented and what isn’t. We’ve blogged about another set of SVG controls before as well. They should work with Appmethod and C++Builder as well. Head over and check out the SVG Controls tech specs before downloading the demos for Delphi Firemonkey.